Through the centuries, the sea has compelled human beings to do some amazing things. Think of Odysseus tying himself to the mast of his ship to resist the Sirens’ song. Or Columbus sailing off the edge of the earth and landing on a whole new continent. And who could forget Chief Brody overcoming his fear of water to battle a mechanical shark? Today, in Maine, the sea continues to call us. And while our response may not be quite as epic, it is decidedly more epicurean. Because the sea, you see, is calling us to dinner. Or lunch, if that fits better into your schedule. There’s a fancy word for the enterprise of growing and harvesting food from the sea. It’s called aquaculture. 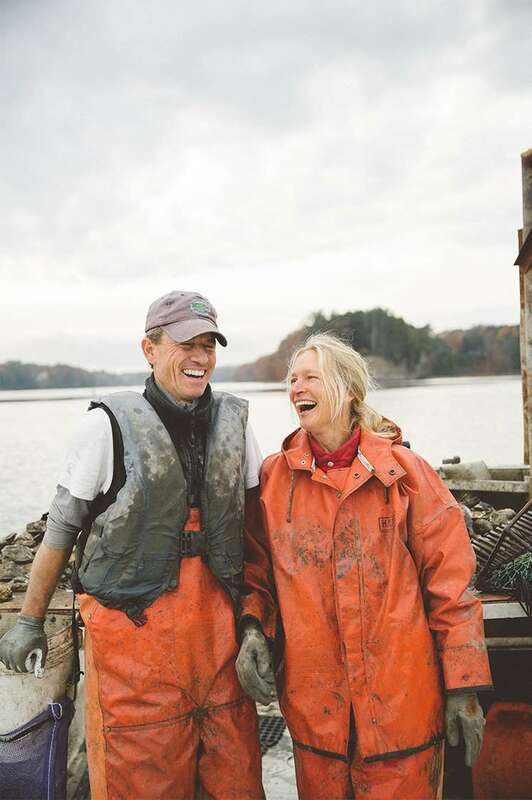 In Maine, we’re just as likely to refer to it by its other name—the sea-to-table movement. And there’s always plenty of room for you at our table, along with four regulars we think you’ll really like: oysters, seaweed, lobster and clams. It’s a nice fringe benefit, having the world’s second-largest ocean in your backyard. And even better when that ocean is home to some of the best sustainable food on the planet. 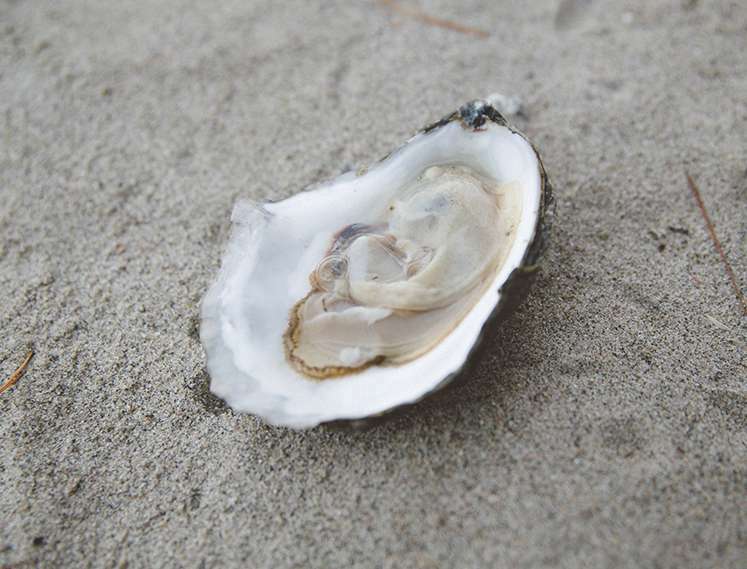 Take oysters, for one … although oyster lovers are inclined to indulge in a significantly higher number. Because of the relatively chilly water in the depths off the Maine coast, the local wild oyster population does not reproduce in great numbers. But Maine’s inner coastal waters provide excellent conditions, with all the creature comforts to make a farm-grown Maine oyster as happy as a … well, we’ll get to that other sea creature later. So what exactly makes Maine oysters so special, other than the honest, friendly personalities they have in common with all native Mainers? The husband and wife team of Eric Horne and Valy Steverlynck weighed in on the subject. 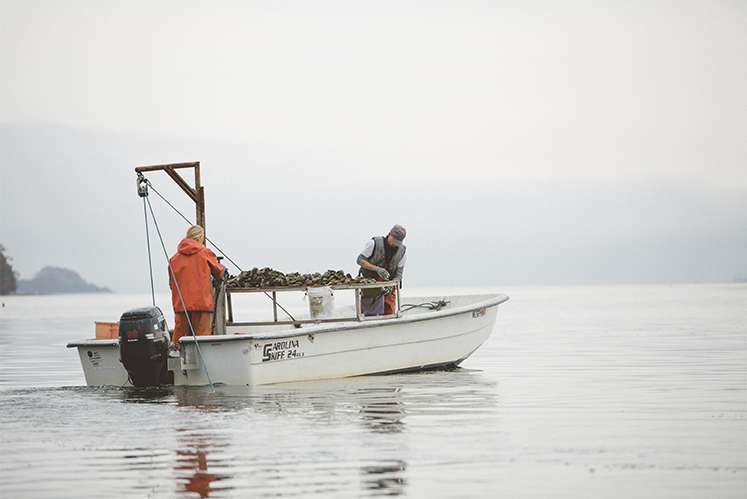 Their company, Maine Oysters, Inc., harvests between 200 and 250 thousand oysters in a good year. Known by the name Flying Point Oysters, their varietal, like oysters from Maine’s 56 other oyster farms, features its own distinctive taste and texture profile, a function of the specific waters in which the oysters are grown. Flying Point Oysters, as Eric Horne described them, are known for their complex flavor with a hint of saltiness and a pronounced sweetness. While Maine oysters are known for their high quality and boutique nature, the flourishing industry is steadily increasing the supply, and—not surprisingly—the demand at area restaurants and oyster bars. 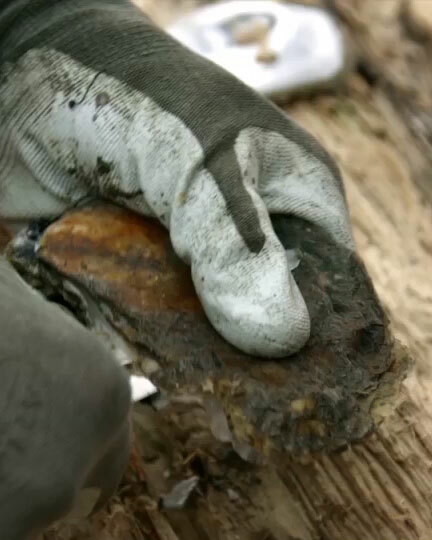 As those who’ve had the happy experience will tell you, once you’ve tasted a Maine oyster, you’re pretty much hooked. Or, as is more apropos, comfortably netted. It doesn’t take an ex-Beatle to know that an octopus’ garden is going to feature some fabulous seaweed. However, harvesting the delicious, nutritious bounty from Maine’s big blue garden requires more than tentacles. As the folks who run Maine Coast Sea Vegetables will tell you, it takes many hands, and as many hours as there are in a day. But Linnette and Shep Erhart were up to the challenge when they created their business over a pot of seaweed miso soup featuring newly harvested alaria fronds. It was 1971, the first year of life for the little company that could, and, working as a team of two, Linnette and Shep produced 200 pounds of seaweed for market. While founded on the idea of harvesting wild seaweeds, Maine Coast Sea Vegetables is now part of the growing number of seaweed farmers along Maine’s coast. In fact, Maine has the largest number of seaweed farms of any state in the country. Today, Maine Coast Sea Vegetables has grown to 40 employees generating upward of 100,000 pounds of product each year. There is also a year-round crew of 18 at the company’s Franklin, Maine, facility who prepare the sea veggies for market and, ultimately, the cutting boards, stovetops and tables of homes and restaurants throughout Maine, the U.S. and foreign markets. Foreign markets were hip to the benefits of seaweed long before they were known as foreign markets. In Japan, Korea and China, seaweed has been a standard part of the diet since prehistoric times. Kelps have been consumed since the 5th century in Japan and China. Today, chefs around the world are finding creative ways to prepare and serve these nutrient-rich sea vegetables. And while all that leafy bounty continues to grow in the ocean, the above-water growth in its popularity can be seen not just in fancy American eateries but on dining room tables from sea to shining, well, you know. Mainers will proudly inform you that one of the best ways to experience our organically certified varieties of alaria, dulse, kelp, laver, sea lettuce, Irish moss, rockweed and bladderwrack is right here at any of the exceptional establishments that fly the flag of the sea-to-table movement. Of course, the root of that movement is stewardship. In other words, a mutually rewarding relationship between people and the sea. Definitely words to plant, nurture, harvest and live by. It’s no secret that Maine loves lobsters. And, as with any successful, long-term relationship, the feeling is mutual. Lobsters love Maine. The cold, clean waters off our coastline and the rocky floor below offer the ideal habitat. And while this charming crustacean enjoys its international celebrity, it never forgets its roots. To lobster aficionados, this is the world’s one and only true lobster: Maine lobster. Or more phonetically correct around here, Lob-stah. Maine lobster is truly the stuff of legends. And the prima donna of the Maine seafood menu. Helen of Troy was said to have a face that launched a thousand ships. But that’s just a drop in the ocean compared to the boats that have plied the cold waters of Maine for hundreds of years in pursuit of a different beauty. The kind that may not look as pretty in the mirror but is as gorgeous as it gets on the plate. In more recent times, we’ve seen an exciting new chapter in the lobster family cookbook. It’s not exactly a new kind of lobster. But it’s definitely a new way of looking at them. You know how it is when you take an old car and trade it in for a new one? There’s nothing like that new car smell. Well, in Maine, the lobster version of that is “new shell lobster.” Or, as some call it, “soft shell.” Here’s how it works. Once a year, during July and August, mature lobsters shed their tough existing shell for a new soft shell that is significantly larger and that hardens over time. In effect, they’re trading in the old shell for a brand new one. Not only are these soft shell lobsters easier to consume—you can crack the shell by hand—their flavor is different and, to many lobster lovers, either preferred or celebrated as a welcome variation on a delicious theme. 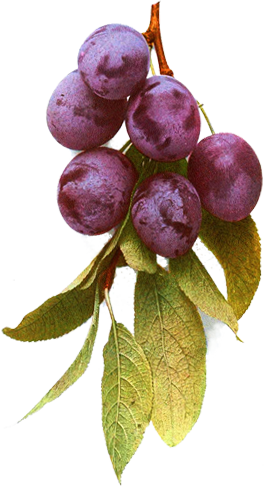 Succulent, sweeter, more flavorful are some of the words people have been heard to say, quite a few with their mouths still somewhat full. Whatever the adjectives, they all agree there’s nothing like that new shell taste. Remember The Three Tenors? Pavarotti, Domingo and … the other guy? That’s kind of how it is with Maine’s other ocean seafood sensation. Clams may not be top of mind like lobsters and oysters. But in Maine, they are a thriving industry and a beloved delicacy, whether enjoyed at one of our iconic clam shacks or our slightly more sophisticated restaurants. And as far as comparisons to lobster and oysters? All we know is that clam lovers are happy to sing their praises—loud and proud. Here’s a little biographical information that will help you understand why this Maine celebrity has a ton of star power. Actually 10 million pounds, give or take. That’s the annual clam harvest in the state. Maine’s soft-shell clams are known as “steamers” (aka steam-ahs), and they thrive in the wild, with some enhancement through the “seeding” of hatchery-grown baby clams in our vast tidal flats. Soft-shell clams burrow as deep as 14 inches into the mud and sand of intertidal areas. In three to four years, they grow to market size. Think of it as a really nice and really long mud bath. Maybe that’s one of the reasons they’re so happy. Harvesting them, however, isn’t exactly a 100% smiley-face experience. It takes dedication and hard work. But the rewards are tremendous. Kind of like the life of a classically trained vocalist. Bottom line is you’ll need boots, gloves and a willingness to bend over for long stretches of time and flip chunks of tidal mud with a curved metal rake. Doesn’t sound like music to your ears? When a Maine clam chef dips, coats, deep-fries and serves the meat with lemon and tartar sauce, it’s a masterpiece for the mouth. You can enjoy Maine clams at a sit-down restaurant or at any of Maine’s iconic clam shacks with their walk-up counters and classic red-and-white-checkered takeaway trays. Lobster, oysters and, yes, clams. The Pavarotti, Domingo and Carreras of the Maine Coast. Feel free to stand and applaud.